The Conker Tree Science project has received a lot of interest from the media and from other scientists seeking to engage with people about their research. It was even a finalist in the prestigious 'established projects' category of the Engage Competition 2014. 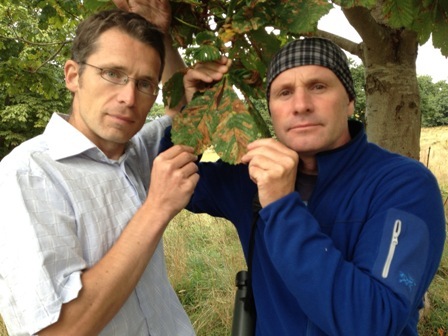 Conker Tree Science has featured on BBC television's Countryfile (October 2014) and The One Show (September 2013 and September 2011). It has also featured many times on local television, national and local radio and in newspapers.